An Amazing Ice Cold Malaysian Style Eliquids brought to the UK by Dr Frost Eliquids. 3 Amazing flavours in 25ml - Strawberry Milkshake, Blue raspberry Milkshake, Banana Milkshake. Remedy by Dr. Frost does well to recreate the flavour of our childhood. 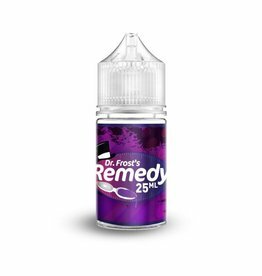 Remedy 25ml shortfill.